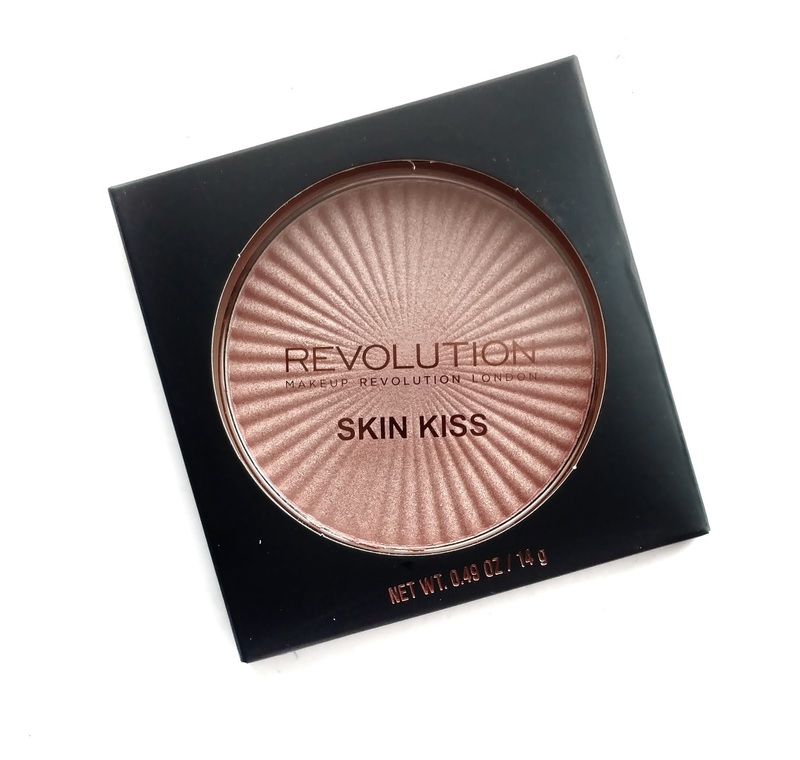 Makeup Revolution just launched their new Skin Kiss Highlighters ($9) at Ulta and I couldn't wait to share it with you because it's a stunning and surprisingly versatile illuminator, especially for the price! Keep on reading for my full review and swatches. Kiss skin with a healthy-looking glow! 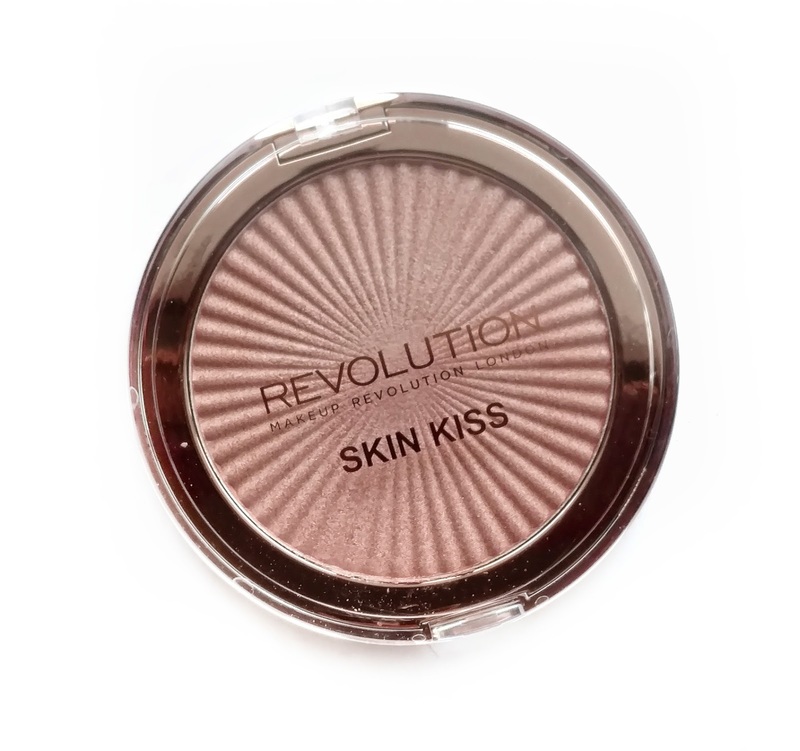 Makeup Revolution's Skin Kiss is a crushed pigment highlighter that brightens and adds a natural touch of illumination throughout the year. Made in China, .49 oz. 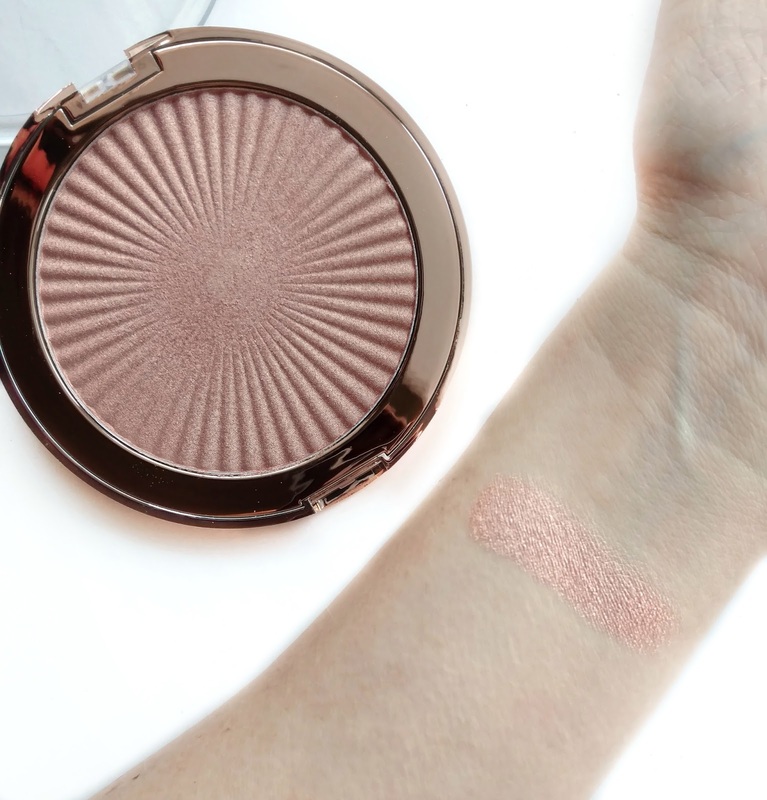 Skin Kiss comes packaged in a beautiful rose gold compact and I was shocked by the size. You get almost half an ounce of product in here, which is huge. By comparison, Becca's highlighters are .19 oz., so here, you're getting 2.5 times more product. I also love the sunburst pattern that's stamped into the powder...it makes it look high-end and is a really nice touch. 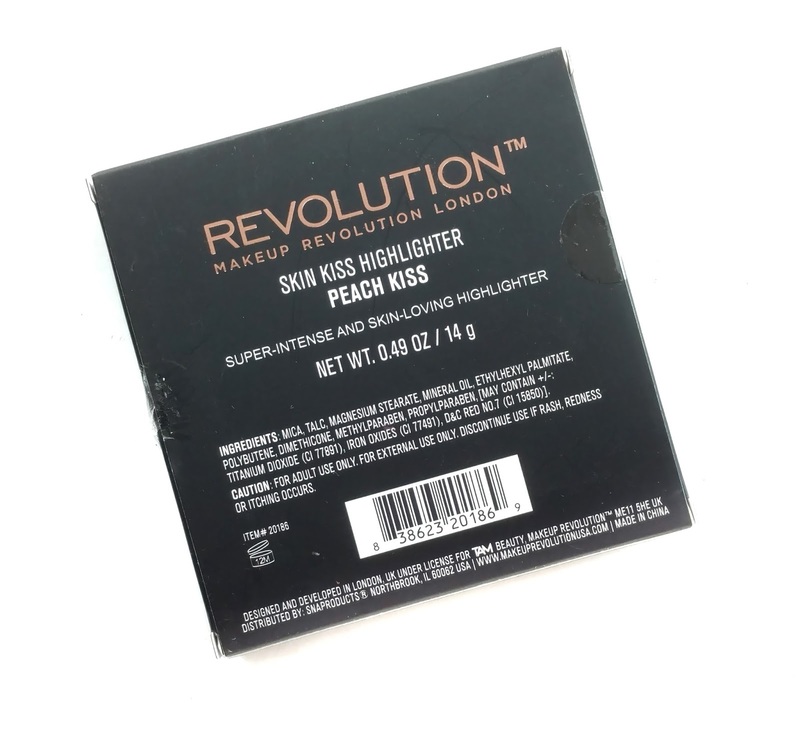 When I first saw the Peach Kiss shade, I was afraid it was going to be too dark for my fair-to-light skin tone but it's not...the pink color actually compliments my cool-toned complexion nicely and gives my cheeks a radiant glow that looks more natural since there isn't a lot of contrast with my skin tone. I prefer that kind of highlighter, actually. On someone with deeper skin though, this will pop a lot more! It's made up of "crushed pigments" according to Ulta.com and it has a super soft, buttery feel that's not dry or cakey at all. In fact, it barely creates any fallout (unlike the Becca highlighters that dust all over the place)... and it really surprised me because it's a very soft powder. It does have shimmer but it's finely milled so it doesn't come off as glittery. You can get a really intense highlight on your cheekbone if you go in with a smaller, denser brush, but you can also use a large fluffy brush to dust this lightly all over your face for a subtle glow. 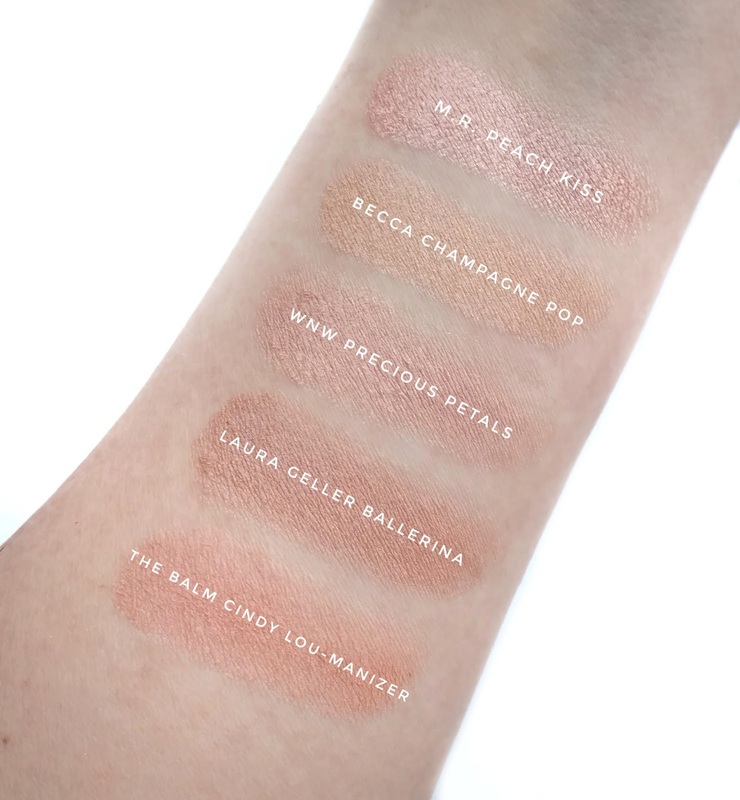 I wanted to swatch it next to some other highlighters I own that looked like they could be similar in color, and I was surprised by how much glowier the Skin Kiss highlighter was compared to the rest...it even outshines Becca's Champagne Pop! Color-wise, it's pretty similar to Wet n Wild's Precious Petals, but is just a tiny bit lighter and more intense. If you're a highlighter junkie, I wouldn't hesitate to add this one to your collection! 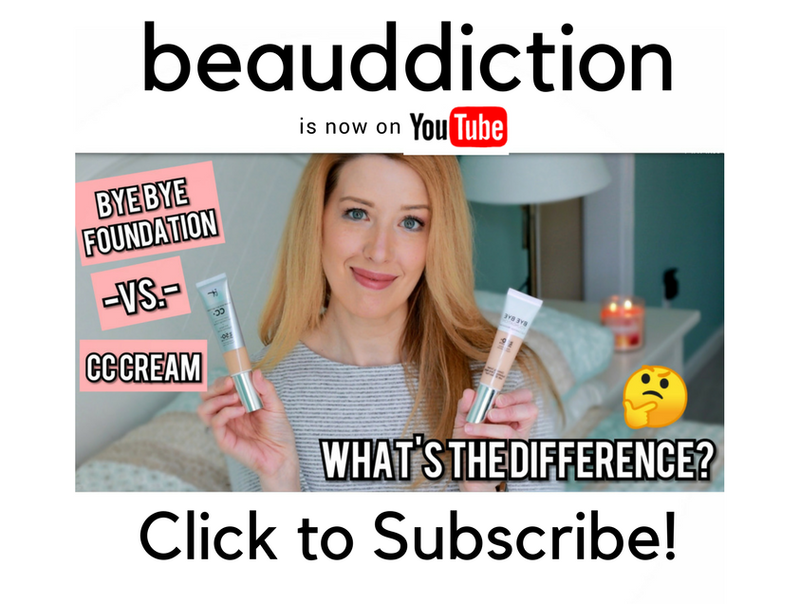 It's super affordable and can easily keep up with the higher-end brands (and then some!). For $9 you really can't go wrong. Disclosure: The product featured in this review was purchased by me. Links are affiliate links (learn more here). I have this and it is my favorite highlight! I agree that it performs just like high-end. 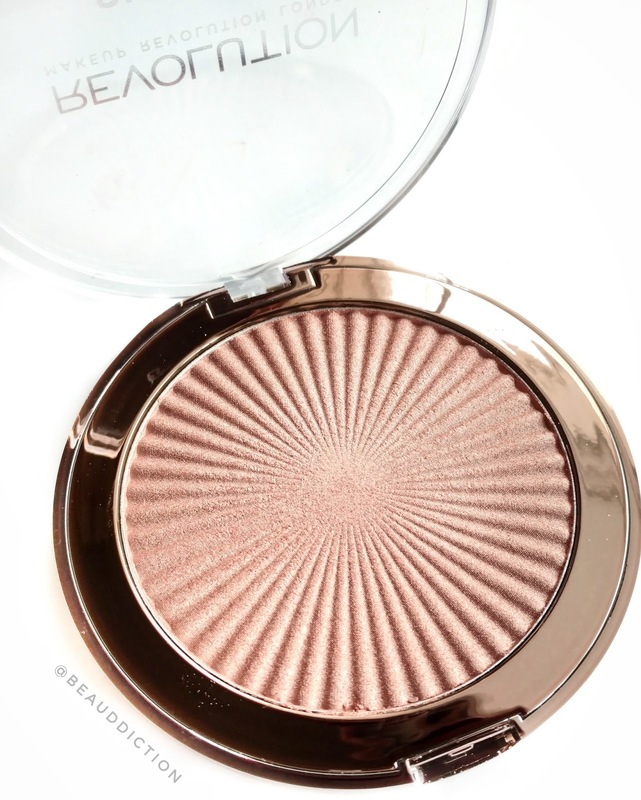 I didn't like their new strobe powders but this one is a-mazing! Oh my gosh, I am so getting this!